Christianity is founded on the Bible. For Christianity to be absolutely true, three things must be established about the Bible. It must be the inspired word of God, our translations must be infallible, and our interpretation of it must be correct. Curiously, this topic is never covered at any of the churches I’ve attended. It is simply assumed that everyone agrees with these three things. This is a very strange assumption, indeed. If I walked into a library and picked up a random book, my immediate assumption would be that a person wrote it, rather than an invisible spiritual being. Superficially, the Bible looks like any other hard cover book made of ink and paper, so the conclusion that it was inspired by God must be accompanied by some remarkable evidence. Divine inspiration certainly is a claim that demands investigation. It is not a triviality to be assumed. Here are some reasons that it’s not obvious that the Bible is written by God. My experience is that many Christians believe the Bible is the word of God for one primary reason: the Bible says so itself. “All Scripture is God-breathed…” [2 Tim 3:16]. This reason is thoroughly unsatisfactory to me because taken alone, it is pure circular reasoning. In short: The Bible is written by God because the Bible says so. Christian apologists often try to demonstrate divine inspiration with this argument: “The Bible couldn’t be written by man, even if he wanted to”. Why not? I’ve never encountered anything in the Bible which is “unwritable”. Many Christians claim the “unwritable” parts are about the divine theme of salvation, but human kind has written countless stories about salvation (e.g. The Matrix Trilogy), so I see no reason why it would be impossible for people to write the Bible. The question of how we know the Bible is written by God is important in light of the contradictions between the Bible’s words and our everyday experience. For example, the Bible says that God cursed women and caused them to have great pain in child birth [Genesis 3:16], yet we now have drugs that can greatly reduce labour pains. Doctors can even administer general anaesthetic in many cases. God says “I will make your pains in childbearing very severe”, but that’s no longer a universally true statement. It seems that either these chemicals are more powerful than God, or God has recently decided to partially withdraw his curse without telling anyone. The curse is a crucially important part of the Bible’s message, so how can women choose to avoid part of it? God’s perfect, unchanging will shouldn’t be subject to a simple, man-made pain-relief technology. The act of muffling God’s curse with chemicals has now become routine medical practice. One of the most overt contradictions between the Bible and our experience is that Jesus was supposed to return in the first century yet he still hasn’t, 20 centuries later. Jesus said, “Truly I tell you, this generation will certainly not pass away until all these things have happened” [Matthew 24:34]. The writer of Hebrews says, “In just a little while, he who is coming will come and will not delay.” [Hebrews 10:36]. Jesus also said: “Truly I tell you, some who are standing here will not taste death before they see the Son of Man coming in his kingdom” [Matthew 16:27-28]. These and many other verses show that the New Testament writers were convinced that the rapture was less than 100 years away. I have been constantly disappointed by the poor explanations of why the second coming did not occur during that generation. It seems the rapture is long over-due. Many Christians conclude then that it must be very soon, like next year perhaps. The Bible certainly says that we should live as though the rapture could happen at any second. For many years I tried to do this. It’s embarrassing to admit, but I would only fill my petrol tank half way. What’s the point of having a full tank if I’m whisked to heaven tomorrow? The Bible certainly teaches that the rapture will be soon [Revelation 1:3]. This type of biblical reasoning led me to make some poor life decisions based on my expectation that I had a very short future on earth. Now that I’m older I realise that this was fallacious reasoning. The idea that Jesus is coming soon leads to some truly bizarre notions in the Bible. For example, “What I mean, brothers and sisters, is that the time is short. From now on those who have wives should live as if they do not” [1 Corinthians 7:29]. What a terrible husband I would be if I followed these words as a direct message from God! 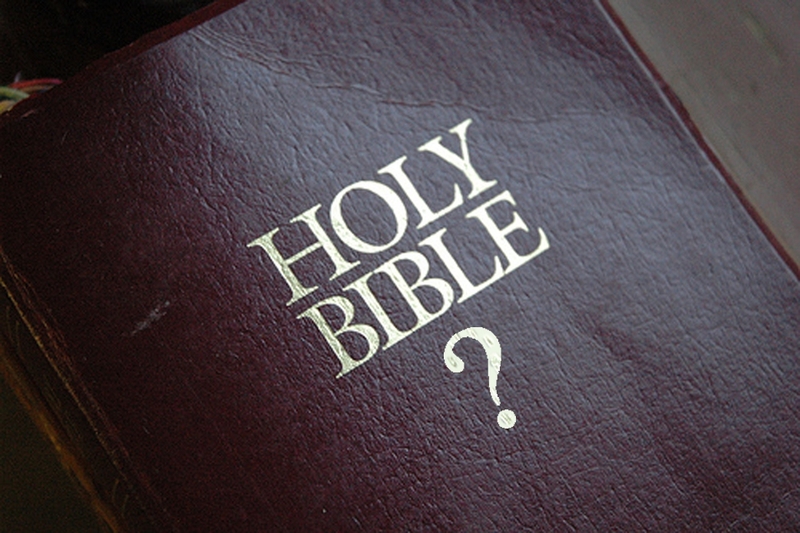 Lastly, if one is to seriously answer the question of how we know the Bible is written by God, we must ask precisely which words the Bible contains. This is crucial because in 2 Tim 3:16, do we really know that when Paul uses the word “Scripture” he is referring to precisely the same 66 books that protestant Christians read? What about the Apocrypha? Protestants and Catholics have debated this issue at length because they disagree on which books are messages from God to us. 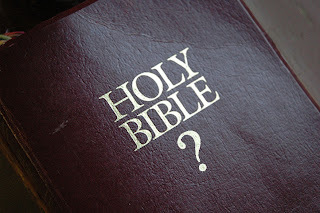 If both sides believe the Bible is the word of God, then it’s of utmost importance to agree on what words it contains. It’s surprising to me, then, that these debates about the content of the Bible are all about ancient history! Shouldn’t this be all about the relevant, living God who talks to us through the Bible today? All these debates on Bible content *should* be solved very simply. Protestants and Catholics should simply pray and ask God which books are included in His word. God would surely send both camps a single list of books to include, and which manuscripts are the most accurate for translation purposes. God would certainly answer these prayers very clearly because His word is so important to humanity. Now the reality is very different. In scholarly articles debating which books should be included in the Bible, no prayer is ever mentioned! What hypocrisy! Perhaps these scholars have already asked God which books should be included but He’s never answered them. Isn’t the content of God’s word important to Him? Shouldn’t He be eager to confirm which “Scripture” Paul was referring to in 2 Tim 3:16? How can I know God’s message to me if Christians cannot even agree which books are in it? And why would God allow his message to come in various permutations with different content, confusing His people and leading many astray? I have read the Bible, cover-to-cover, and I found the content to be quite fragmented and convoluted. When I finished Revelation, I had no personal sense of an “overall message” or “big idea”. Why has God made it so hard to know what He is saying and what it means? Christianity claims that reading the Bible should have been a blessing to me and would bring me closer to God, but when I actually read the entire Bible as a whole, I was filled with confusion and questions which greatly intensified my doubts. My immediate and long-lasting impression of the Bible was that it’s a disparate collection of ancient historical texts. The various books of the Bible were clearly penned by ancient people, and for other ancient people. This seems to be a very satisfying explanation of why even Christians find it so confusing in the 21st century.